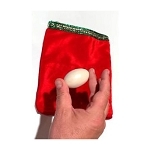 Vanish a coin from inside a bag and a box and fool those who think they know how you did it! 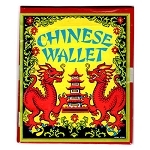 Vanish a coin from inside a small black box- fool those who think they know how you did it! Beautiful little box that will totally surprise them! They think they see how you are doing this trick- but they are truly fooled at the end! And with the vanishing bag that's included, you can do TWO different routines! Show the box empty, then place the coin inside. As you tell your spectator that the coin has "vanished", you tilt the box to one side. Your spectator can not only HEAR the coin sliding to the other side- but he can SEE it slide past the opening between the two doors! Open the left door to "show" the coin is gone. Of course, he'll insist that the coin just slid over into the other side of the box! So you close the door, tilt the box so the spectator hears and sees the coin slide to the left side, and again tell him that the coin has vanished, opening the right side door this time. The spectator will insist that the coin is now over to the left. And now the magic happens! This time, you open the right side AND the left side doors at the same time- and the coin really has disappeared! And THEN you produce the coin from your pocket, or under your closeup mat, or wherever- even from something that was sitting in full view all along! Take a coin from out of the bag. Put the coin into the Sucker Coin Box, and do the routine as described above. The spectator clearly hears the coin sliding back and forth inside the box. At the end, the doors of the box are opened, and the coin is gone. BUT- reach into the bag- AND TAKE THE COIN OUT OF THE BAG! 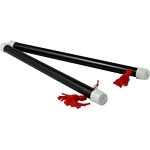 This is a terrific effect that will get your audience really involved! And there is no sleight of hand needed! 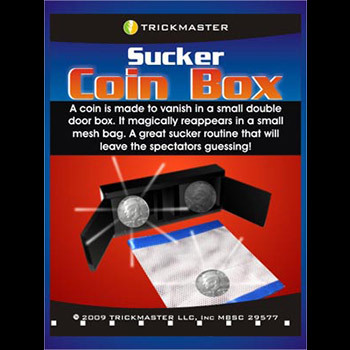 This Sucker Coin Box is big enough to be easily seen from a distance, like in a classroom or in front of a group at a party. 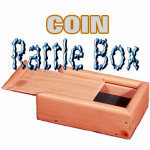 The Coin Box shown in the demo video is an older model made of wood, but works the same way as the Sucker Coin Box in black plastic that you are buying here. 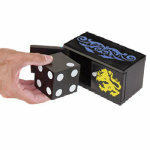 See ALL of our Die Boxes! You will need an ordinary coin. 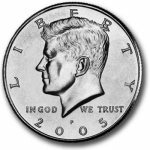 We suggest a half dollar because it's big. The box is made of heavyweight black plastic. The bag is made of cloth. 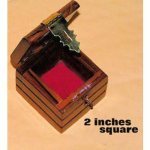 An Awesome Version of the Magic Die Box for Coin Magicians!!! 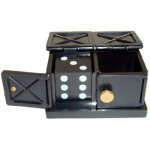 This is a great carry along version of the Magic Die Box for Coin Magicians. 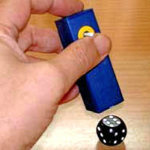 Fits in a pocket, resets instantly, and it has a few special features that you won't find in the Magic Die Boxes. 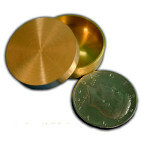 First, you can use an ordinary coin, the Magic Die Box normally requires a Gimmick Die. Second, your audience can actually see the Coin roll by, unlike the Magic Die Box where the slide is hidden but makes a sound, and this really helps because I have often had to help the audience suspect the slide with the Magic Die Box (I often perform for young children). And Finally, and best of all, you can make the vanished coin reappear in the box! Now try that with a Magic Die Box! A GREAT trick, and perfect for Coin Magicians, I Highly Recommend it!!! Buy this item - get 20 Rewards Points!